Bernie J Erenberger D.C. C.C.S.P., D.C.
Jon Duris, D.C., is a chiropractor located in Milwaukee, WI. Techniques: • Gonstead • Motion Analysis (Palpation) • Spinal Biomechanics • Thompson • Toggle Recoil Specialties: • Pediatrics • Pregnancy Take the next step and contact Dr. Jon Duris, D.C., for a consultation in Milwaukee, WI or to get more information. Kendal Hoard, D.C., is a chiropractor located in Milwaukee, WI. Take the next step and contact Dr. Kendal Hoard, D.C., for a consultation in Milwaukee, WI or to get more information. Allen R Spaude, D.C., is a chiropractor located in Milwaukee, WI. Techniques: • Diversified Take the next step and contact Dr. Allen R Spaude, D.C., for a consultation in Milwaukee, WI or to get more information. Marna Sobhani, D.C., is a chiropractor located in Milwaukee, WI. Take the next step and contact Dr. Marna Sobhani, D.C., for a consultation in Milwaukee, WI or to get more information. Gregg A Nowak, D.C., is a chiropractor located in Milwaukee, WI. Techniques: • Diversified • Gonstead Take the next step and contact Dr. Gregg A Nowak, D.C., for a consultation in Milwaukee, WI or to get more information. West Allis Chiropractic & Rehab. Michael D Tremba, D.C., is a chiropractor located in Milwaukee, WI. Techniques: • Pettibon • Diversified • Logan Basic • Traction • Spinal Decompression Take the next step and contact Dr. Michael D Tremba, D.C., for a consultation in Milwaukee, WI or to get more information. John P Mueller, D.C., is a chiropractor located in Milwaukee, WI. Techniques: • Diversified • Activator Methods Take the next step and contact Dr. John P Mueller, D.C., for a consultation in Milwaukee, WI or to get more information. James M Pellergrini, D.C., is a chiropractor located in Milwaukee, WI. Techniques: • Gonstead Take the next step and contact Dr. James M Pellergrini, D.C., for a consultation in Milwaukee, WI or to get more information. Elizabeth Mclean, D.C., is a chiropractor located in Milwaukee, WI. Take the next step and contact Dr. Elizabeth Mclean, D.C., for a consultation in Milwaukee, WI or to get more information. Kenneth J Kerwin, D.C., is a chiropractor located in Milwaukee, WI. Techniques: • Diversified • Gonstead • Thompson • Motion Analysis (Palpation) • Trigger Point Therapy Take the next step and contact Dr. Kenneth J Kerwin, D.C., for a consultation in Milwaukee, WI or to get more information. Jacqualyn Masche, D.C., is a chiropractor located in Milwaukee, WI. Techniques: • Palmer Package Take the next step and contact Dr. Jacqualyn Masche, D.C., for a consultation in Milwaukee, WI or to get more information. Kevin F Mc Cabe, D.C.
Kevin F Mc Cabe, D.C., is a chiropractor located in Milwaukee, WI. Take the next step and contact Dr. Kevin F Mc Cabe, D.C., for a consultation in Milwaukee, WI or to get more information. Buck D Blodgett, D.C., is a chiropractor located in Milwaukee, WI. Techniques: • Cox • Diversified • Gonstead • Motion Analysis (Palpation) • Activator Methods Take the next step and contact Dr. Buck D Blodgett, D.C., for a consultation in Milwaukee, WI or to get more information. Michael La Blanc, D.C., is a chiropractor located in Milwaukee, WI. Take the next step and contact Dr. Michael La Blanc, D.C., for a consultation in Milwaukee, WI or to get more information. Dana Schultz, D.C., is a chiropractor located in Milwaukee, WI. Take the next step and contact Dr. Dana Schultz, D.C., for a consultation in Milwaukee, WI or to get more information. James Roth, D.C., is a chiropractor located in Milwaukee, WI. Take the next step and contact Dr. James Roth, D.C., for a consultation in Milwaukee, WI or to get more information. Raymond J Janusz, D.C., is a chiropractor located in Milwaukee, WI. Take the next step and contact Dr. Raymond J Janusz, D.C., for a consultation in Milwaukee, WI or to get more information. Kurt P Huemmer, D.C., is a chiropractor located in Milwaukee, WI. Take the next step and contact Dr. Kurt P Huemmer, D.C., for a consultation in Milwaukee, WI or to get more information. David J Foti, D.C., is a chiropractor located in Milwaukee, WI. Techniques: • Manual Adjusting • Diversified • Motion Analysis (Palpation) • Directional Non-Force Technique • Activator Methods Take the next step and contact Dr. David J Foti, D.C., for a consultation in Milwaukee, WI or to get more information. Gregory R Daniels, D.C., is a chiropractor located in Milwaukee, WI. Techniques: • Diversified • Gonstead Take the next step and contact Dr. Gregory R Daniels, D.C., for a consultation in Milwaukee, WI or to get more information. Matthew L Johns, D.C., is a chiropractor located in Milwaukee, WI. Techniques: • Palmer Package • Trigger Point Therapy • Diversified • Thompson Take the next step and contact Dr. Matthew L Johns, D.C., for a consultation in Milwaukee, WI or to get more information. Joan A Regan, D.C., is a chiropractor located in Milwaukee, WI. Techniques: • Logan Basic Take the next step and contact Dr. Joan A Regan, D.C., for a consultation in Milwaukee, WI or to get more information. Steven Longo, D.C., is a chiropractor located in Milwaukee, WI. Techniques: • Diversified • Gonstead • Thompson • Activator Methods Take the next step and contact Dr. Steven Longo, D.C., for a consultation in Milwaukee, WI or to get more information. Michelle L Draggoo, D.C., is a chiropractor located in Milwaukee, WI. Techniques: • Gonstead • Diversified • Palmer Package • Trigger Point Therapy • Flexion-Distraction • Thompson Take the next step and contact Dr. Michelle L Draggoo, D.C., for a consultation in Milwaukee, WI or to get more information. Monica Casey, D.C., is a chiropractor located in Milwaukee, WI. Take the next step and contact Dr. Monica Casey, D.C., for a consultation in Milwaukee, WI or to get more information. Jodi M Osborne, D.C., is a chiropractor located in Milwaukee, WI. Techniques: • Palmer Package • Gonstead • Diversified • Activator Methods • Trigger Point Therapy Take the next step and contact Dr. Jodi M Osborne, D.C., for a consultation in Milwaukee, WI or to get more information. Donald P Hundt, D.C., is a chiropractor located in Milwaukee, WI. Take the next step and contact Dr. Donald P Hundt, D.C., for a consultation in Milwaukee, WI or to get more information. R Michael Wichgers, D.C., is a chiropractor located in Milwaukee, WI. Techniques: • Palmer Package • Toggle Recoil • Trigger Point Therapy Take the next step and contact Dr. R Michael Wichgers, D.C., for a consultation in Milwaukee, WI or to get more information. Tim Oakland, D.C., is a chiropractor located in Milwaukee, WI. Take the next step and contact Dr. Tim Oakland, D.C., for a consultation in Milwaukee, WI or to get more information. Kenneth Howard, D.C., is a chiropractor located in Milwaukee, WI. Techniques: • Diversified • Gonstead • Activator Methods • Thompson • Flexion-Distraction Take the next step and contact Dr. Kenneth Howard, D.C., for a consultation in Milwaukee, WI or to get more information. Karl T Naujock, D.C., is a chiropractor located in Milwaukee, WI. Techniques: • Diversified • Thompson • Activator Methods • Pettibon • Traction Take the next step and contact Dr. Karl T Naujock, D.C., for a consultation in Milwaukee, WI or to get more information. Charles D Blodgett, D.C., is a chiropractor located in Milwaukee, WI. Techniques: • Diversified • Gonstead • Activator Methods Take the next step and contact Dr. Charles D Blodgett, D.C., for a consultation in Milwaukee, WI or to get more information. Mark C Slade, D.C., is a chiropractor located in Milwaukee, WI. Techniques: • Gonstead • Palmer Package Take the next step and contact Dr. Mark C Slade, D.C., for a consultation in Milwaukee, WI or to get more information. Michael B Seidman, D.C., is a chiropractor located in Milwaukee, WI. Techniques: • Gonstead • Cox • Diversified • Nimmo Take the next step and contact Dr. Michael B Seidman, D.C., for a consultation in Milwaukee, WI or to get more information. Gene C Rohloff, D.C., is a chiropractor located in Milwaukee, WI. Techniques: • Gonstead • Nimmo • Hole in One Take the next step and contact Dr. Gene C Rohloff, D.C., for a consultation in Milwaukee, WI or to get more information. Craig L Jordan, D.C., is a chiropractor located in Milwaukee, WI. Techniques: • Manual Adjusting • Activator Methods • Applied Kinesiology • CranioSacral Therapy • Terminal Point • Trigger Point Therapy Take the next step and contact Dr. Craig L Jordan, D.C., for a consultation in Milwaukee, WI or to get more information. Bob M Gountis, D.C., is a chiropractor located in Milwaukee, WI. Techniques: • Cox • Cranial • Diversified • Flexion-Distraction • Gonstead • Motion Analysis (Palpation) • Spinal Decompression Take the next step and contact Dr. Bob M Gountis, D.C., for a consultation in Milwaukee, WI or to get more information. Richard J Ranicke, D.C., is a chiropractor located in Milwaukee, WI. Take the next step and contact Dr. Richard J Ranicke, D.C., for a consultation in Milwaukee, WI or to get more information. Scott Wagenknecht, D.C., is a chiropractor located in Milwaukee, WI. Techniques: • Palmer Package • Diversified • Thompson • Activator Methods Take the next step and contact Dr. Scott Wagenknecht, D.C., for a consultation in Milwaukee, WI or to get more information. Michael H Chen, D.C., is a chiropractor located in Milwaukee, WI. Techniques: • Diversified • Thompson • Bio-Energetic Synchronization Technique • Palmer Package Take the next step and contact Dr. Michael H Chen, D.C., for a consultation in Milwaukee, WI or to get more information. June M Hultine, D.C., is a chiropractor located in Milwaukee, WI. Take the next step and contact Dr. June M Hultine, D.C., for a consultation in Milwaukee, WI or to get more information. Norman Schlimbach, D.C., is a chiropractor located in Milwaukee, WI. Techniques: • Diversified Take the next step and contact Dr. Norman Schlimbach, D.C., for a consultation in Milwaukee, WI or to get more information. Jack Masche, D.C., is a chiropractor located in Milwaukee, WI. Techniques: • Palmer Package Take the next step and contact Dr. Jack Masche, D.C., for a consultation in Milwaukee, WI or to get more information. Jessica L Heller, D.C., is a chiropractor located in Milwaukee, WI. Techniques: • Diversified • Cox • Thompson • Manual Adjusting • Motion Analysis (Palpation) Take the next step and contact Dr. Jessica L Heller, D.C., for a consultation in Milwaukee, WI or to get more information. 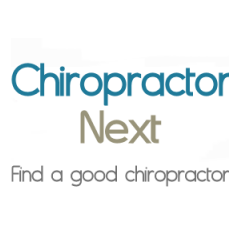 Scott Newcomer, D.C., is a chiropractor located in Milwaukee, WI. Techniques: • Diversified • Gonstead Take the next step and contact Dr. Scott Newcomer, D.C., for a consultation in Milwaukee, WI or to get more information. Joe Guagliardo, D.C., is a chiropractor located in Milwaukee, WI. Take the next step and contact Dr. Joe Guagliardo, D.C., for a consultation in Milwaukee, WI or to get more information. Gary J Donaldson, D.C., is a chiropractor located in Milwaukee, WI. Techniques: • Pettibon • Chiropractic Biophysics • Spinal Biomechanics • Spinal Decompression Take the next step and contact Dr. Gary J Donaldson, D.C., for a consultation in Milwaukee, WI or to get more information.